SGVE Server should now work again. Everything should be as before except for the new IP which change was unrelated to previously mentioned HW issues. SGVE Server #2 and #3 preparation is currently in progress stay tuned. thank you for your patience.  SGVE Server is still offline due to hardware issues as was mentioned in previous post. It turned out that some parts of hardware are defective and they need to be replaced. We are currently waiting for a new replacement which should fix the issue. SGVE Server will be offline for few days or so. I need to fix some issues with server. SGVE Server could be part of the day offline because of possibility of upgrading some things on SGVE which should bring more reliability right after it during a few weeks maybe even bigger performance enhancement. sorry for issue with server today, it was crashing like every 15 minutes. It was caused by checking script for crashes (which we’ve been using for years). Reason was that script thought that server is offline so it force restarted it. Now it should be fixed, but if it occurs again, please report us this to info@sgve.eu. BIG UPDATE OF SGVE! PLEASE READ! By [SGVE] ViktorK |CZ| Hey all! We’ve been working hard on bringing you some new improvements to server! •	All STARGATE weapons are now stronger! They are as much destructive as similar weapons from Ship Core addon. •	Some CAP weapons were fixed because they weren’t damaging ship cores. •	SAM (server bot) now warns you if you have your ship without ship core outside spawn area, that means all bases and ships has to have ship core outside spawn or they will be removed by SAM after some time. •	SAM also warns you if you exceed ship weapon count, now you can use maximum of 6 weapons together per player. This will make space combat more balanced. •	Added anti prop spam solution which should help against griefing. •	You can now start ban/kick vote even with well known !voteban, !votekick commands. Also I managed to fix very bad bug in voting system. Please if you find some bugs connected to updates above, please send us email to info@sgve.eu! It’s still beta so some bugs could occur. You can find it in QMenu – Entities – SGVE Entities – [SGVE] ShipCore Finder. To use it just wire Player Entity (from your E2 or Target Finder) to input and it will automatically output Player’s Ship Core entity or Stargate Vehicle entity (jumper, glider..) which you can then use for your weapons as target. Good thing is when player has ship and it’s on spawn it won’t target it so you won’t attack earth by mistake.